This is one question that Japanese learners ask a lot. A lot of people have heard that Japanese is read from right to left. Then you actually start learning Japanese, and the phrases in your textbooks are written left to right! What’s going on? Who’s lying to you, and why? I know some people feel quite embarrassed asking this question, but don’t worry – it seriously comes up a lot. In this article we’ll look at why that is. Before thinking about left to right or right to left, we also have to consider one other direction: horizontal or vertical? Traditionally, Japanese was written in vertical columns. These columns were read from top to bottom and from right to left. This way of writing is called tategaki (縦書き) – which literally means ‘vertical writing’. If you have a Japanese text written in tategaki, start at the top of the right hand column, and read the characters from top to bottom. Then, move to the top of the next column to the left, and start again. Tategaki is still used today, especially for more ‘traditional’ kinds of writing like literature, greetings cards and hand written letters. Modern Japanese can also be written from left to right. In this case, it is written in horizontal lines – just like English. This way of Japanese writing is called yokogaki (横書き – literally, ‘horizontal writing’). This way of writing has been in common use since the end of the Second World War. Although examples of yokogaki do exist before then, it became more prevalent thanks to the efforts to standardize the education system post-war, and also possibly due in part to the increased influence of foreign languages. Most textbooks will use this form of writing, so it’s more useful to you if you are just starting to learn Japanese. You will also see plenty of examples of yokogaki in more modern forms of communication, such as the internet, text messages, informal handwritten notes, and some academic or specialised books. Both tategaki and yokogaki are still in constant use. There actually aren’t any hard-and-fast rules about when to choose one or the other. It’s up to the writer. So if you’re learning Japanese, don’t worry too much about which one you choose. Yokogaki will probably feel more natural to you if you are an English speaker, and that’s fine! But wait, it gets more complicated. Before WWII, Japanese was sometimes read horizontally from right to left. Although tategaki (vertical columns) was the standard way of writing back then, horizontal text was sometimes used for space or design reasons. For example, a shop sign, product label, or image where there was no space for vertical writing. In this case, it was written from right to left. Technically, this was considered to be a row of columns just one character high – but the effect is the same as a horizontal line! Look at this awesome beer poster from 1937. The text at the top saysアサヒビール (Asahi Beer in katakana) – but it’s written from right to left. This style is still occasionally used today, but it looks old-fashioned. It’s used where designers deliberately want to give something a historical or retro feel. One interesting feature of these various ways of writing is that you will sometimes see both left-to-right text and right-to-left text combined in the same place! Editors and graphic designers use the flexibility of the Japanese language to make the best use of the space they have available. You can see examples of this in Japanese newspapers, magazines, posters or adverts. Take a look at this Japanese newspaper page. You can see that the title (in red) and the main text at the bottom of the page is written in vertical columns – tategaki. These columns are read top to bottom, left to right. In contrast, the text immediately underneath the picture is written in horizontal lines – yokogaki. This is read from left to right, just like English. 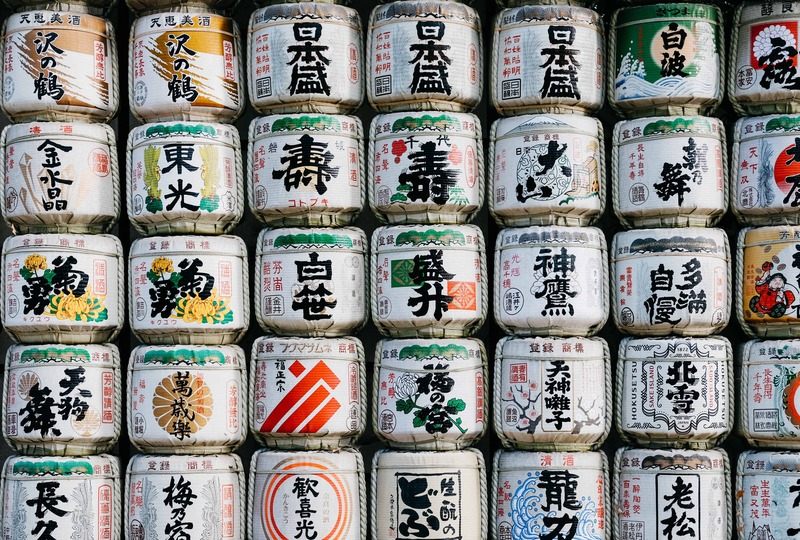 You might this this would be confusing, but once you are more familiar with the Japanese characters, you won’t even have to think about it – promise! It’s worth noting that when you look at the front cover of a book in tategaki (vertical columns), the spine is on the right. The book looks ‘back to front’ compared to an English book: the front cover is where the back cover would be! The same goes for magazines and comics (manga). Also, pay attention to the direction of the boxes in manga. These are also usually ‘back to front’ compared to English! First, look at the box on the top right hand side of the page. Read the speech bubbles within that box from right to left. Then, read the other boxes from right to left. As you move down the page, read each row of boxes from right to left. In this example, read the top right box, then the top left box, then the lower box. At least the pictures should help you out! If you’re interested in learning Japanese, why not check out my full article on how to read Japan’s different scripts. It’s essential reading if you want to read and write Japanese. I also have more details on hiragana and katakana, including reading charts. You can sign up for a free trial of my recommended Japanese language program here.